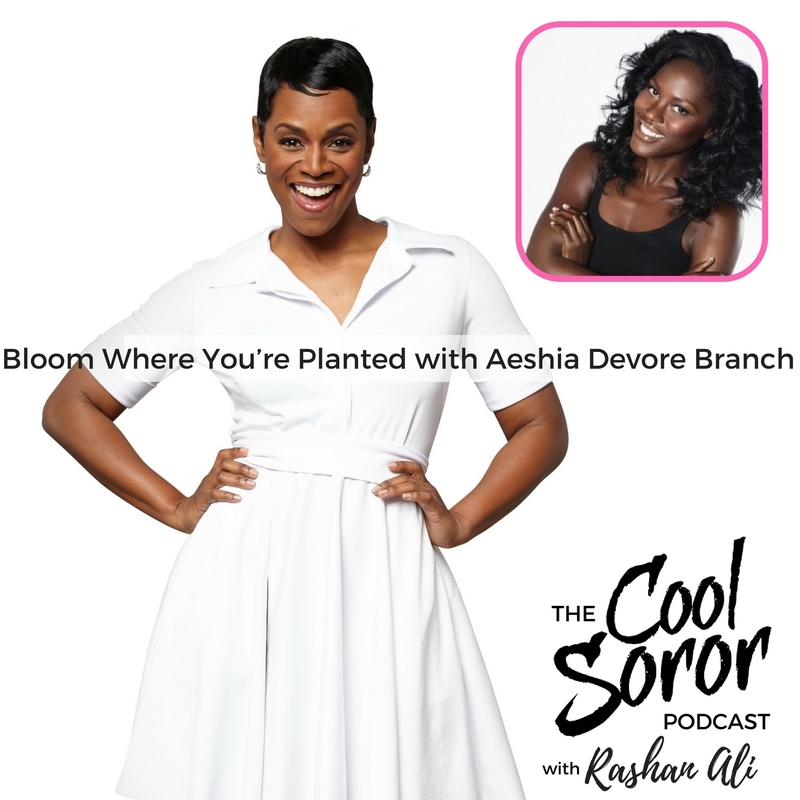 The Cool Soror Podcast welcomes Alpha Kappa Alpha’s own Aeshia Devore Branch. A native of Queens, NY, she is the epitome of dream realization and unafraid to identify a problem and create a solution. The social entrepreneur unites and empowers girls to be health leaders in their communities. The alarming childhood obesity epidemic along with the void of entertaining yet positive fitness content and fitness events for young women (ages 13-22) led to the conception and rapid growth of her passionate venture, Pretty Girls Sweat. Aeshia leads business development, marketing, sales, and event execution and has been responsible for bringing on clients and partners including adidas women, Aquafina, Nike, YMCA, Essence, Samsung and Girl Scouts of the USA. Before creating Pretty Girls Sweat, Aeshia thrived in the TV industry for over 9 years-working her way up from an intern at ABC to a producer on Sundance Channel's celebrated, primetime series ICONOCLASTS. The former high school athlete (track, volleyball, and basketball), a graduate of Middle Tennessee State University (Bachelor of Science degree in Mass Communications) was also a model for Wilhelmina in New York City.